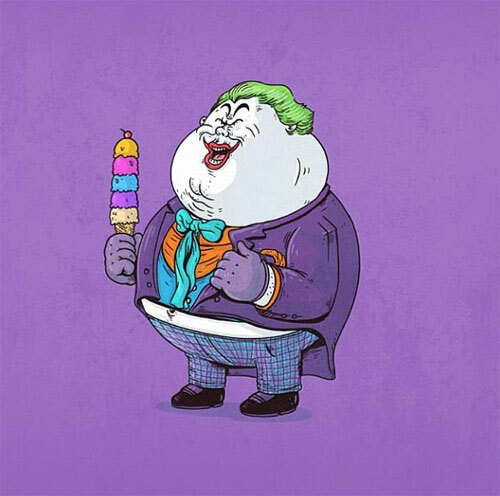 I am a superheroes fan, not only me, but nevertheless every one among us, because we can’t be like them and anything that looks like a fantasy and supersonic becomes stunning to us. 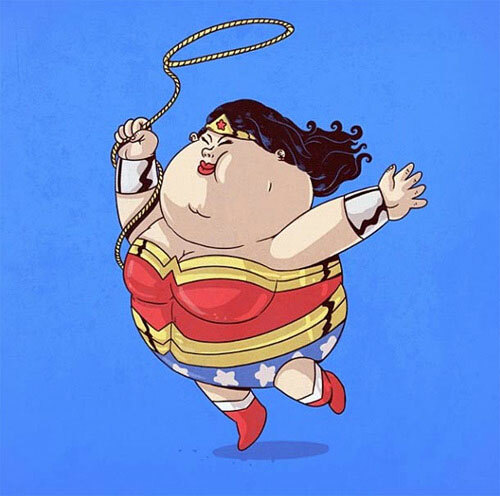 We are human beings; we are so unlike superheroes, we can’t fly with a cape hung at the back, we can’t save the world with our magical powers, we cannot move mountains like them. 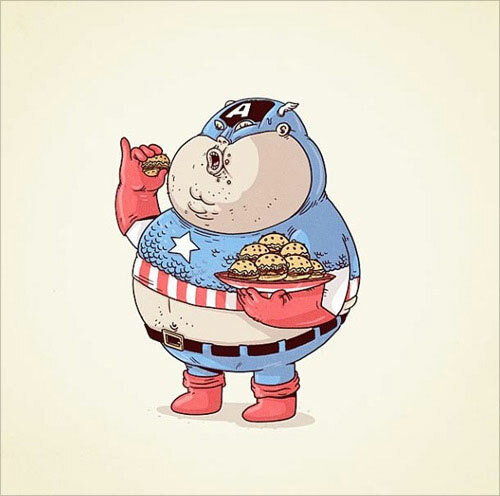 We also cannot look like them although people love wearing the body suits and smashing avatars of superheroes which are obviously replica versions just to make the fans happy, but does not make us a superhero unfortunately. 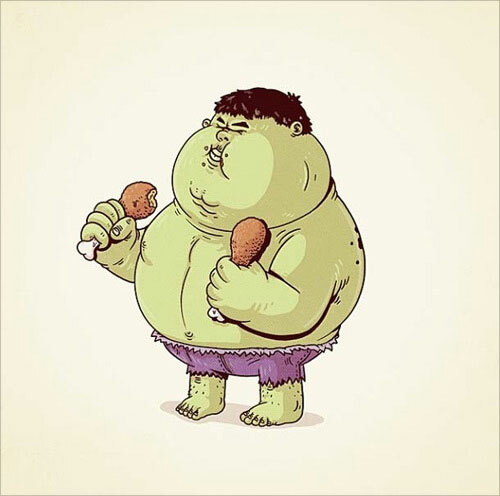 Have you ever thought if the characters of these superheroes no more remain and if they walk out of their habitual zone, how would they look without their traits and specialties, maybe they won’t look that attractive? 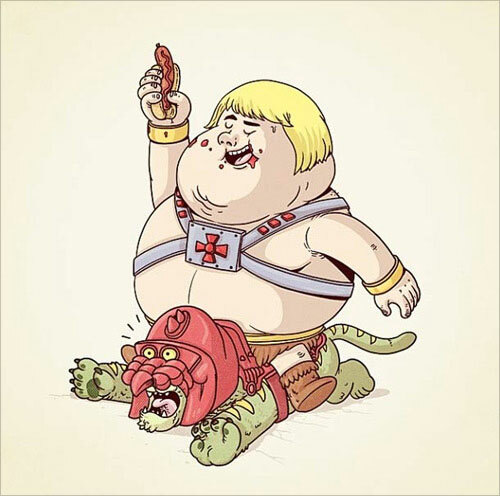 Maybe they would give us a fun roar or chuckles? 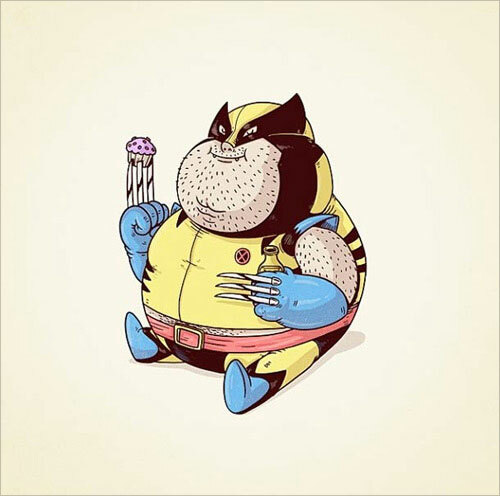 maybe they would just be like other creatures—to be precisely creatures like us. 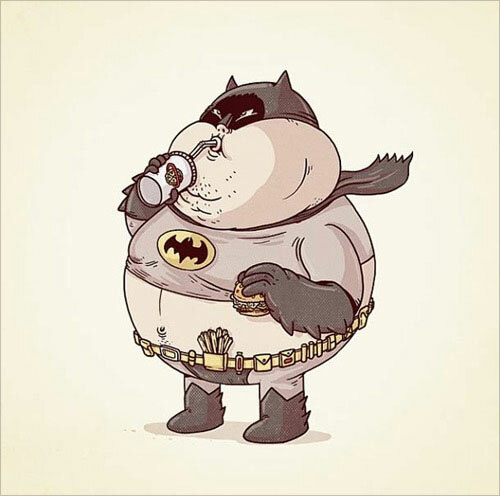 Today I am giving you an unconventional perspective about superheroes; you have not seen them like this ever before. 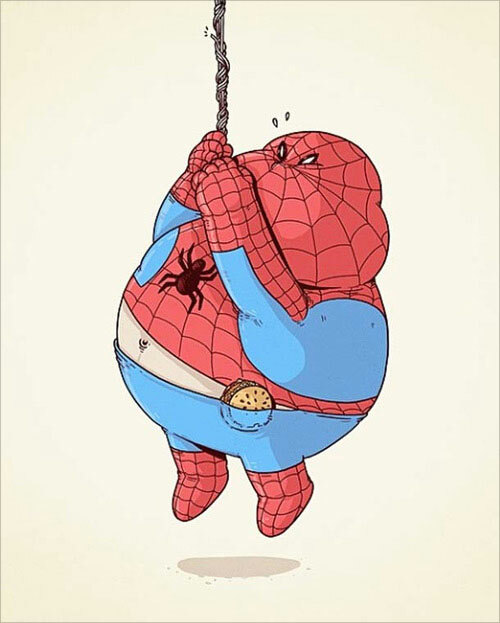 It would be hilarious, fun packed and cheerful experience for all of the superheroes fans out there. 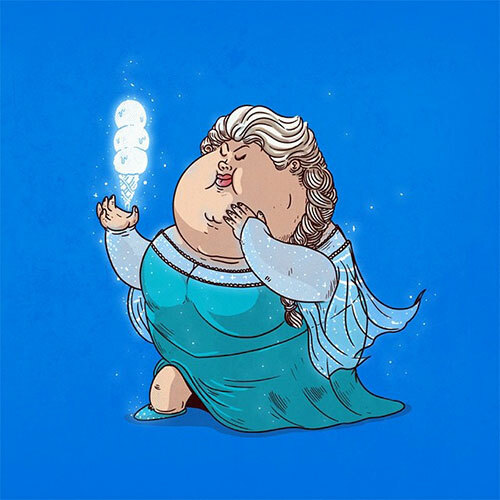 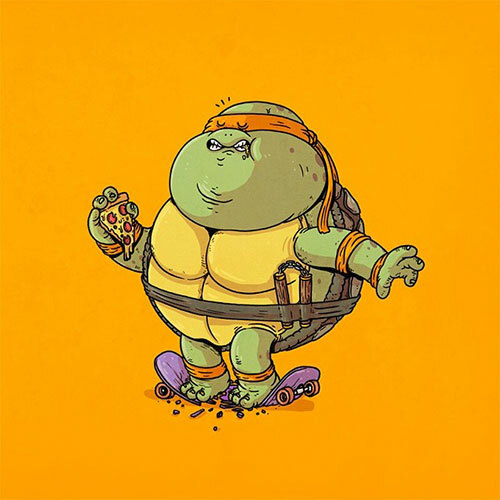 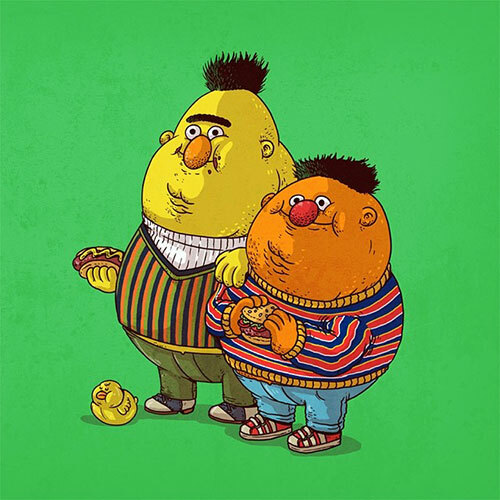 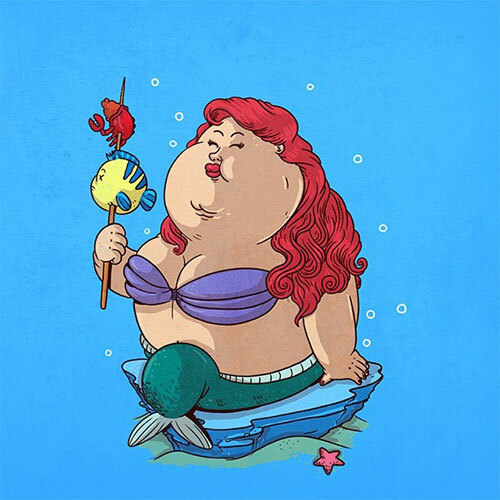 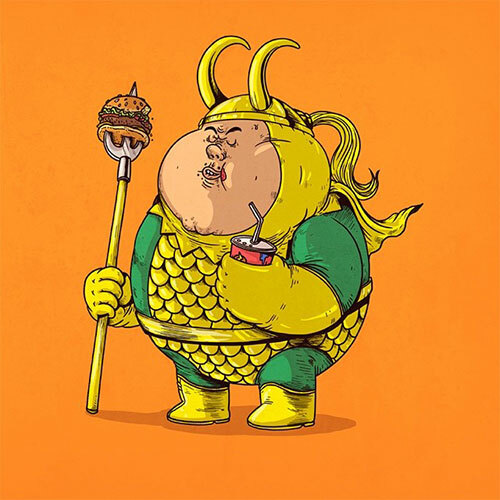 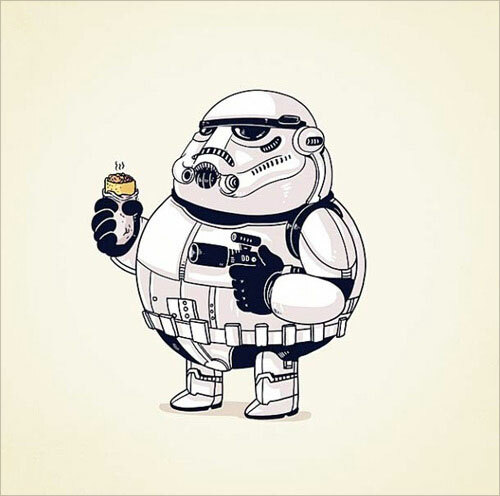 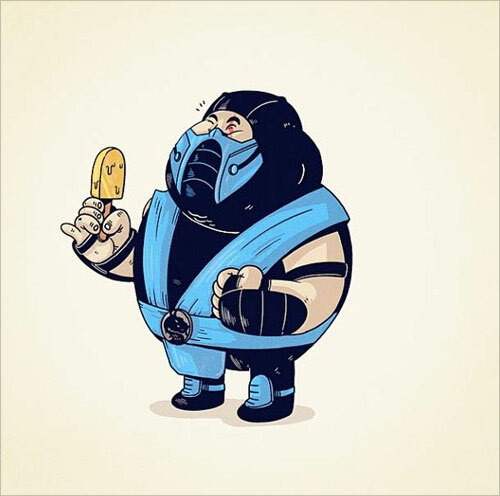 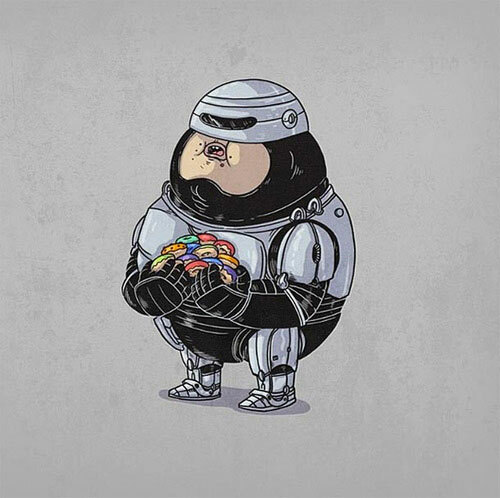 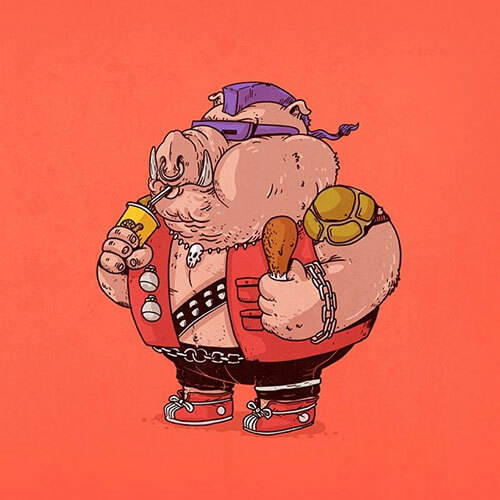 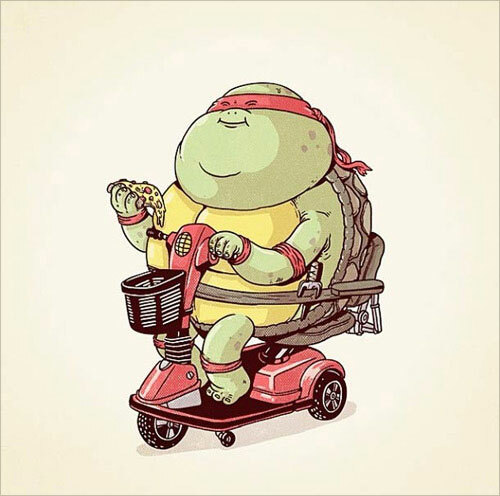 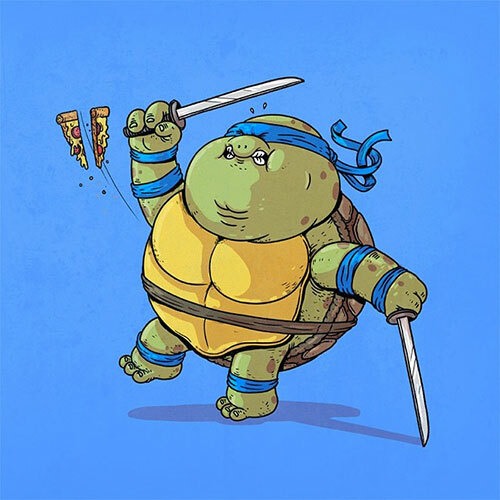 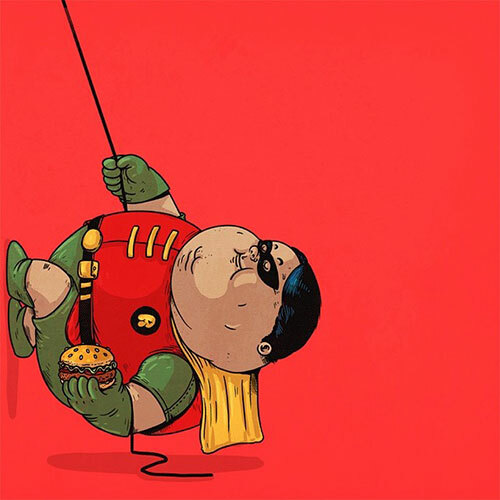 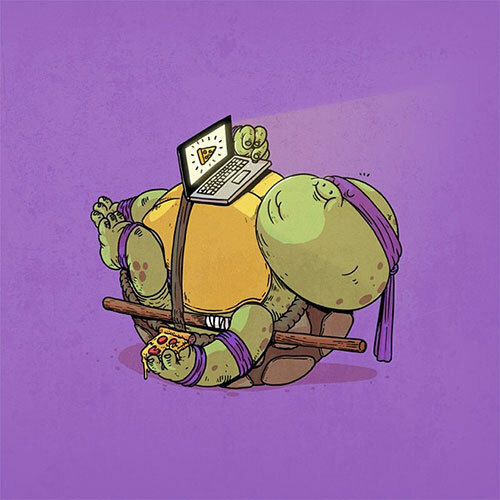 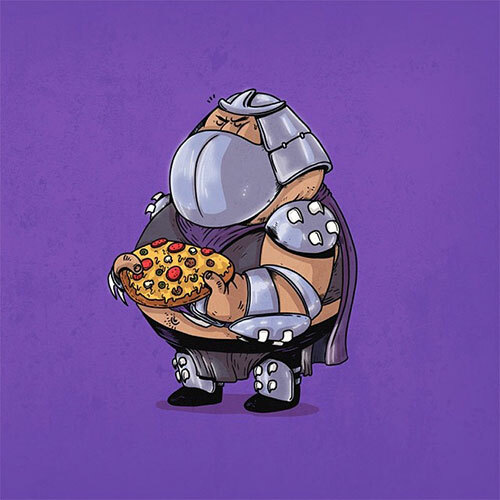 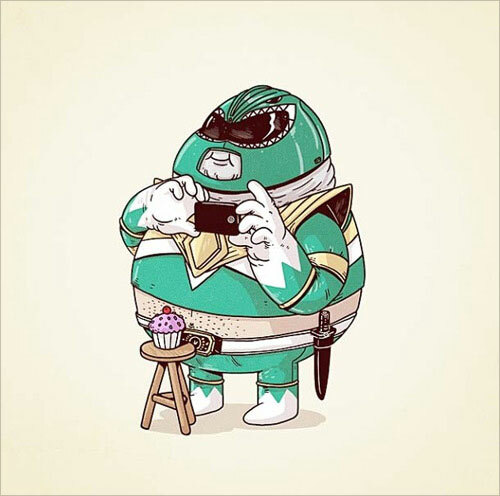 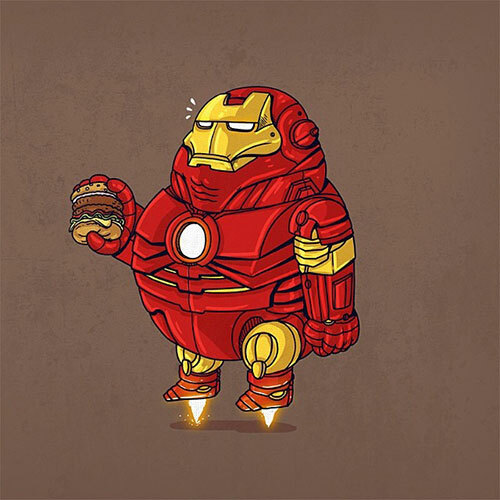 Scroll down to see fat superheroes character designs by Alex Solis. 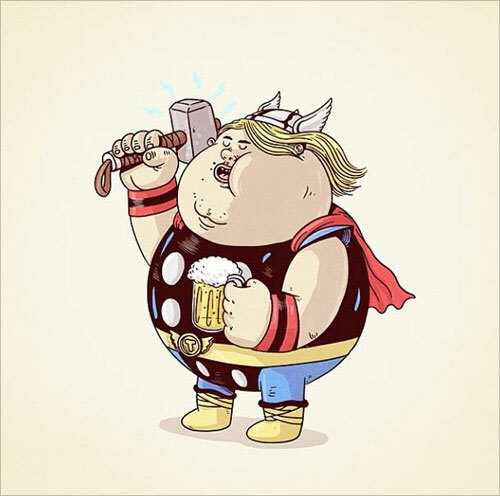 You can’t help yourself pulling your hair off and cracking up in huge laughter, seeing our superheroes in a fat and chubby looks is just so funny and comical representation of their characters. 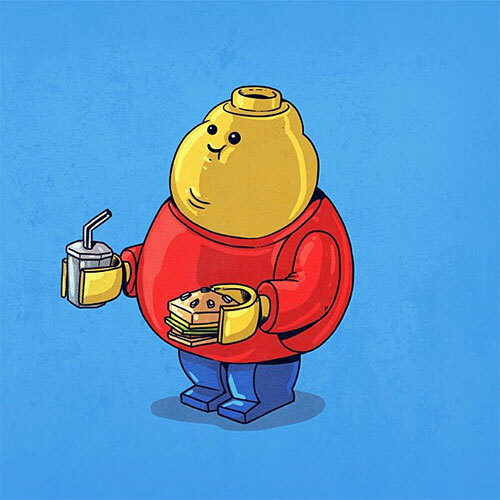 Share it with your friends on social media networking sites and give them humor laugh this morning. 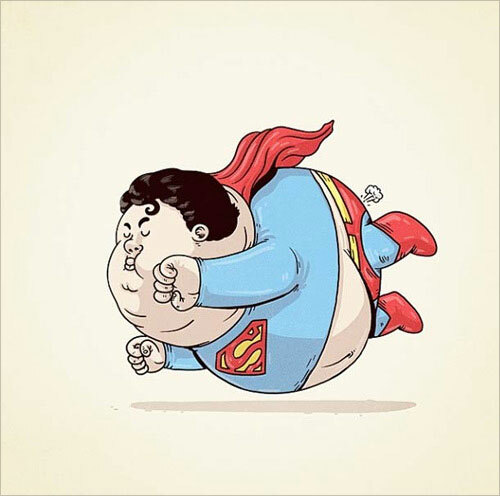 I personally loved superman’s fat character design, look at his bulky belly it seems as if he would fall flat on his belly’s weight straight from the sky. 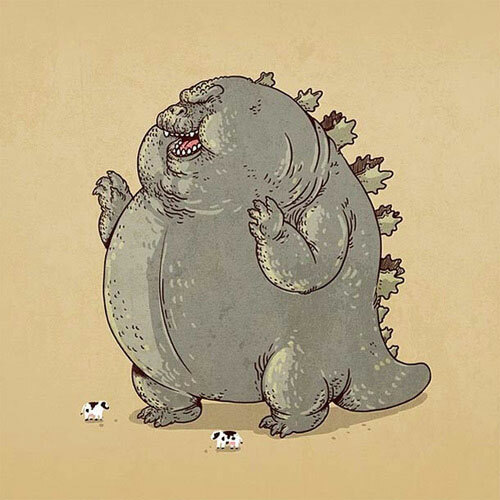 Godzilla is almost like a “fatzilla” because all it has is obesity from head till toe. 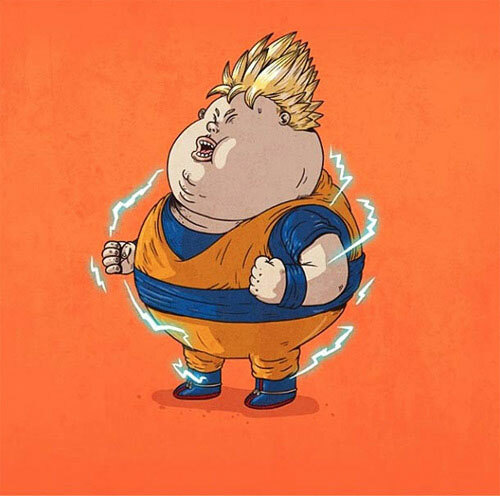 They are no more the epitomes of masculinity and perfect physiques rather they are total obesity with massive mass on. 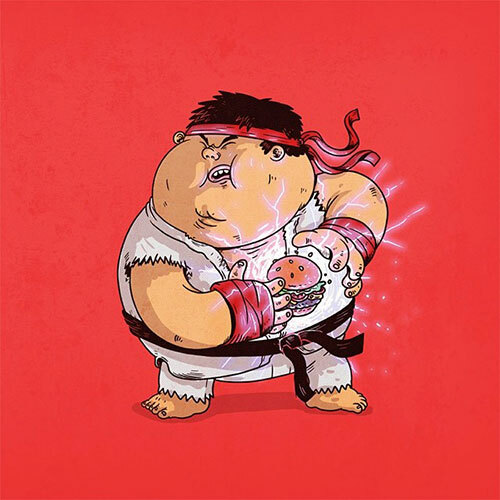 Get the fun right here guys!